Prior blog posts have discussed the possibility of terminating a lease prior to its legal end date. However, in a residential setting, such a situation is not always cut and dried. If there is no formal document, executed by both parties, terminating the lease, then the lease between the parties may still control the situation. This blog post will examine the different possibilities, and advise both landlords and tenants regarding the disposition of property left behind by a tenant. Our first example would be when a tenant simply leaves the premises, but does not advise the landlord in writing that he is moving out. 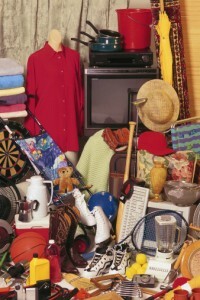 In such situations, the tenant may also leave behind personal property at the rented premises. The first question is whether the tenant has legally abandoned the property. If the tenant does not return the keys to the landlord (or their attorney) and state in writing that they are surrendering possession, then they are still considered a legal tenant and the original lease will still control the landlord-tenant relationship. Even if it appears to the landlord that the tenant has moved out, in the absence of a formal surrender, the landlord will still have to legally evict the tenant. This means service of a Notice of Petition and Petition of Eviction, obtaining a warrant of eviction in Court, and then having the City Marshal or Sheriff serve and execute the warrant. This will give the landlord legal possession and allow the landlord to dispose of the personal property left behind by the tenant. If the landlord decides not to follow this legal procedure, the tenant could return, and claim that they did not formally surrender possession. The landlord in such a case could be liable for an illegal eviction, as well as the cost of replacing the disposed-of property. This situation often arises where a tenant is served with a Warrant of Eviction, which generally gives them 72 hours, or three days, to vacate the premises. Many tenants after being served will simply leave the premises in the period after service and prior to being formally evicted by a Marshal or Sheriff. In such situations, our firm advises that the eviction proceed, even if the tenant has moved out. This will insure that the landlord has legally gained possession, and also insulates the landlord from liability if the tenant later claims their possessions at the premises were disposed of without their consent. In certain situations, such as commercial property, the landlord may be required to store any equipment and machinery left behind by the tenant for a period of up to thirty days after a formal eviction. This will enable the tenant to reclaim said property if they are willing to pay the moving and storage fees incurred by the landlord. Landlords should consult counsel in such situations. Of course, it is better to negotiate a surrender of lease with all parties agreeing to end the lease prior to its term. However, this is not always possible. If the tenant does not surrender the keys and agree in writing to end the lease, we advise that the eviction proceed to avoid any legal issues after the tenant has moved out. Our firm has extensive experience in representing both landlords and tenants, and welcomes all inquiries in this area.